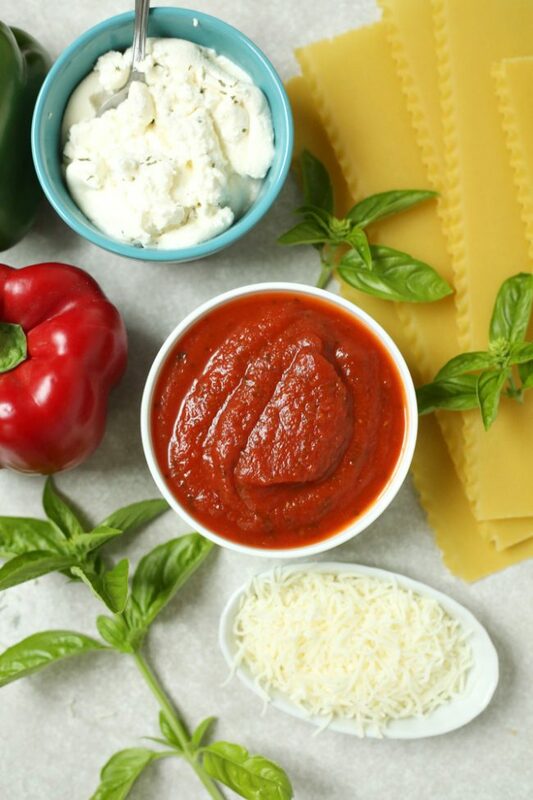 Try this new way to prepare your lasagna for an easier way to serve and dish up dinner! Everyone will love having their personal sized lasagna rolls! Craving something a little different for dinner this week? 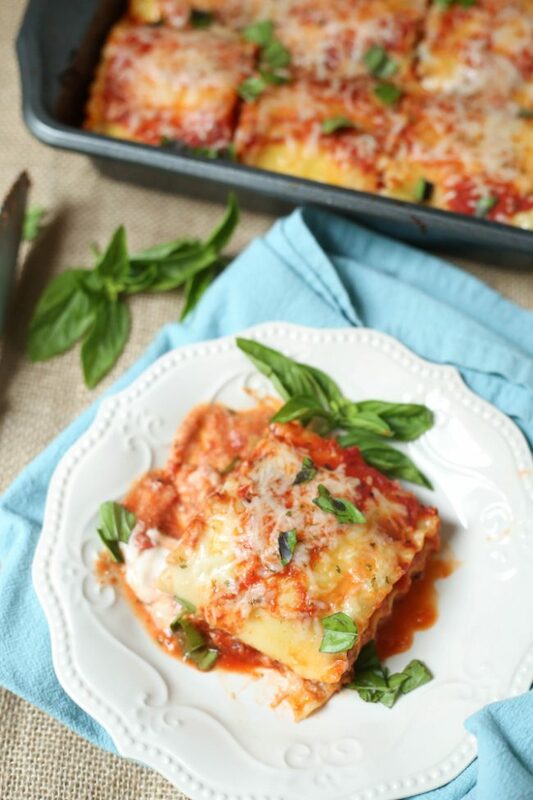 You can’t go wrong with a classic home-cooked meal like lasagna! But traditional recipes can be messy to serve. 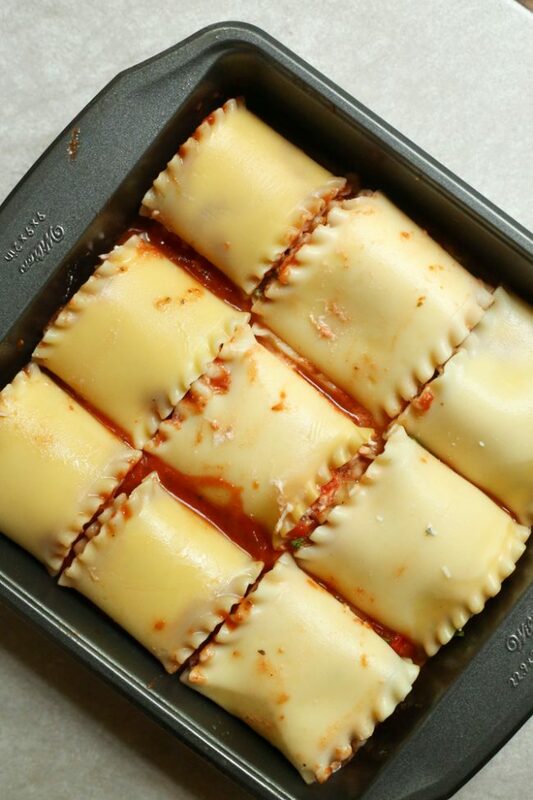 Our easy lasagna rolls recipe will completely change the way you prepare lasagna forever! It makes it a cinch to serve up a reasonable portion size or scoop seconds! Plus, it makes dishing up leftovers just as easy. Drop your lasagna noodles in boiling water and cook for 7-8 minutes, until soft. Dice your peppers, and stir together in a bowl with spaghetti sauce. In a separate bowl, combine ricotta, 1 cup mozzarella, and Italian seasoning. Once your noodles are soft, spread out a piece of parchment on a baking sheet, and lay each noodle down on it, side by side. 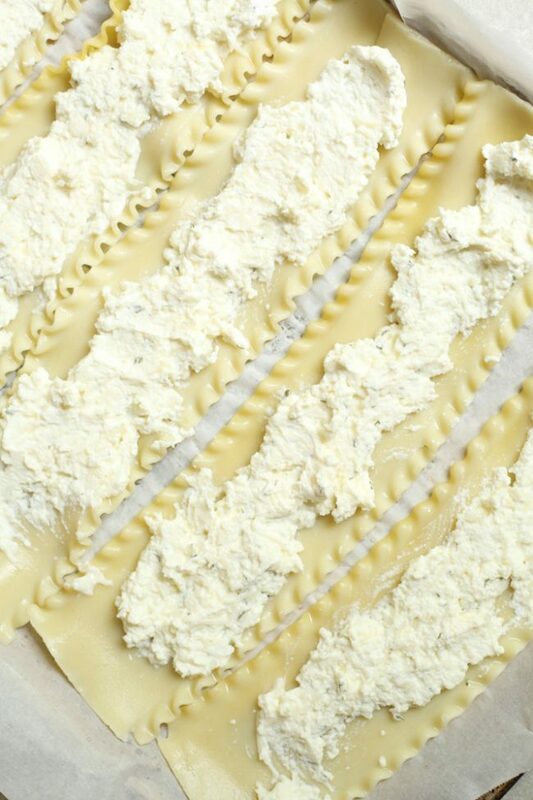 Spread a layer of ricotta on top of each noodle, leaving the edges free. Follow that with a layer of sauce, making sure to smooth out any uneven lumps. Sprinkle chopped basil leaves on top. Once your noodles are fully covered, roll each one up loosely, being careful not to squeeze anything out of the sides. Spread a little sauce to cover the bottom of a square baking dish, and then carefully fill it with your noodle rolls, seam side down. Drizzle remaining sauce on top, followed by your reserved half cup of cheese, and finally more basil leaves. Lasagna is one of my favorite foods! 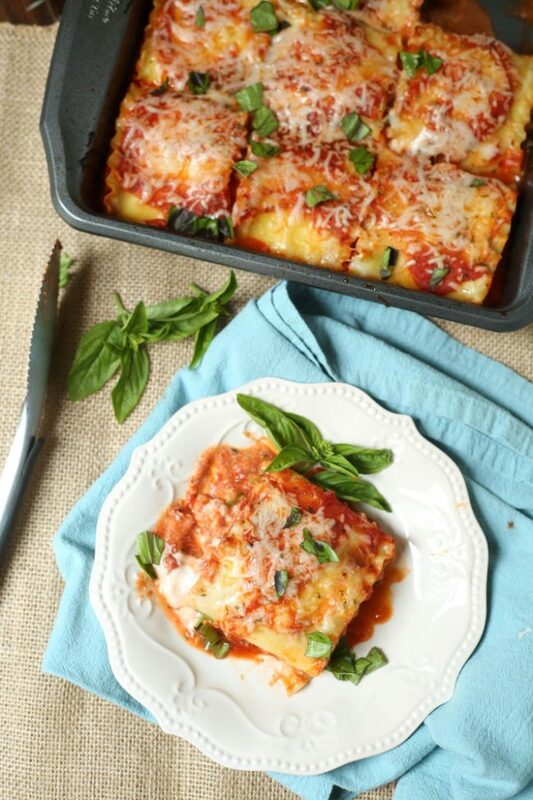 I love making these lasagna rolls because they are so easy and perfect for kids to eat! What a fantastic recipe – can’t wait to try it. I have pinned it for future meal planning. This is pure genius! I love lasagna, but it’s hard to eat sometimes. This solves all that! 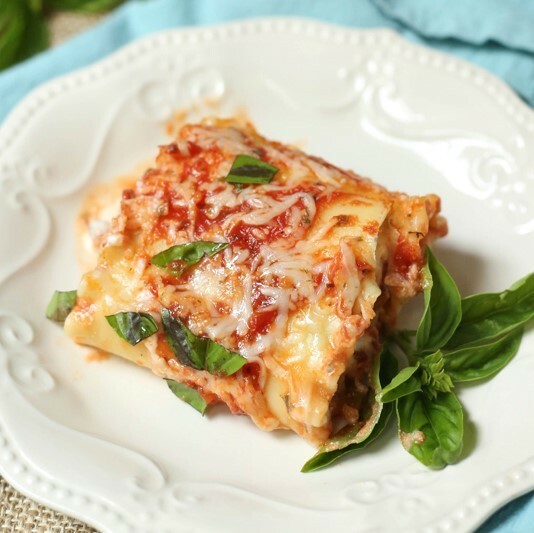 I love making recipes with lasagna noodles like this and a number of others. Working with the noodles for these is a pain in my opinion but the taste makes it worth it. I am going to pin this. I like that it’s a small pan size, seems like so many lasagna recipes are big enough to feed a whole town. This would be great for our family. Can this dish be frozen???? Absolutely! Thaw the night before or cook for close to double the time if cooking from frozen. Make sure you use a freezer-to-oven safe dish. I used to make these a long time ago and lost the recipe! Now thanks to you I can make them again.